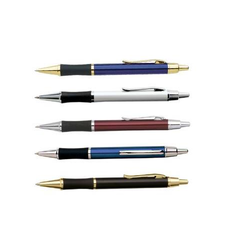 Effervescent range of Traditional Pens that we offer is manufactured using extreme grade of raw material. 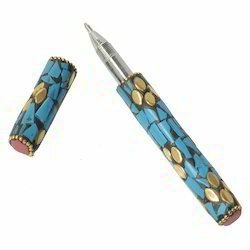 These traditional pens are available in flickering shine, traditional & attractive designs and smooth finish. These are easy to handle and maintain and are widely demanded in gift items and handicraft industries. We are supplying a wide range of Biodegradable Pens that are available in a host of attractive colors & patterns. Our Beadable Ball point Pen is one of our hottest selling product. It is made from high quality brass with durable colour coating over its surface. It is available in 10 different colours. Its Beadable part is 2.5 inch long and accommodate beads with 2.5 mm hole. Pen with classic and eternal design that projects an image of power and royalty every time you write with it, you'll feel the touch of power in your hands.